For family vacations to remember, next time consider a holiday villa. Villas offer many ways to bring your family closer together – as well as give you room to spread out and relax. Here’s five ways that staying in your own private villa will make your next family get-away a truly memorable event. Family Meals. What’s the fun in hiding in your hotel room? From preparing meals to sitting around the table long after the food is finished, villa eating is a highly personalized, perfect opportunity to spend time relaxing with the clan. Morning coffee can be an event unto itself … and you don’t even need to dress up for the occasion in your own private villa. The comforts of home-sweet-home create a perfect gathering spot for your family. Outings. Unlike in a hotel, where everyone can easily be spread to the four corners of the compound, a villa encourages you to spend time together. Planning trips to the beach, to go shopping, or for a day of adventure on an area tour, families naturally can enjoy each other’s company. Pool Parties. Having your own private pool has many advantages. But the main one is you get to have all the fun! Playing in the pool with the kids, relaxing afternoons in your own pool-side lounge chair, evenings with cocktails or perhaps dinner outside, or the real pool party after dark! Do you know where your kids are? If you have young ones, it’s not easy to leave them in a hotel room far away from even the closest hotel restaurant. In a villa, you can have a relaxing evening knowing your children are safe nearby. For teen-aged kids, the risks are perhaps even greater. 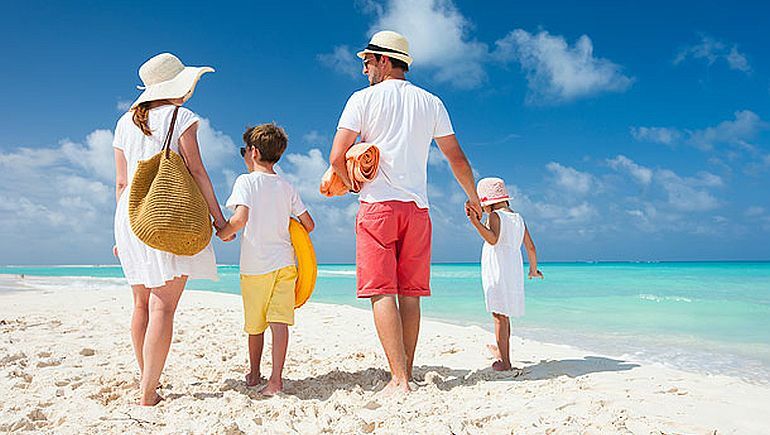 The best family vacations the ones you just relax, not worrying. Space to spread out. Even the closest families need quiet time, and what better way to relax than find a private spot than in your own villa. Whether you’re looking for an afternoon nap or for some midnight stargazing, villas offer roof-top salas, second floor lounges and many other spots for that special, quite moment.